January 15, 2019 — ATLANTA — Pictures of crunched and battered packages are not what you want to see, especially on your doorstep. When the photos are coupled with a ‘fragile’ label, that’s even more confusing. 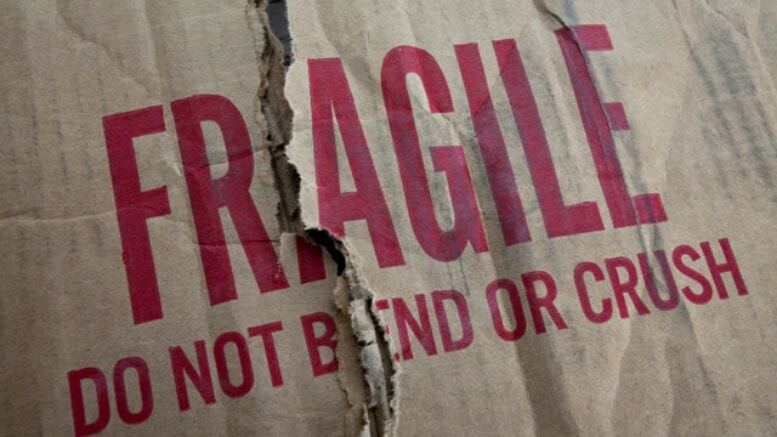 Are we taking it for granted that labeling a package as ‘fragile’ can protect it? “What it boils down to is whether there’s a lot of automation that goes into your package or whether it’s hand handled,” Kim said. “Different shippers have different levels of automation,” he explained. According to a spokesperson for UPS, the most important part is how items are packed, “not necessarily how they are labeled.” UPS policy indicates a package should not leave an employee’s hands until it’s on a surface. The spokesperson said that policy applies to all packages, whether labeled fragile or not. Pack your shipment correctly and there is nothing to worry about. Honestly each of the carriers use an automated system. For the most part parcels have limited human contact. The conveyor belt can’t read. Any time I receive a Fragile marked parcel, it’s in the bottom of a parcel hamper crushed by a 75 plus pound Amazon parcel.